Our eye makeup tutorials will help you master 3 quick looks to brighten your eyes, and give you some bright and easy options for daytime and evening looks. 1, 2. Choose 3 colors and a metallic or shimmery shade. Apply the darkest color in the outer 1/3 corner of the eye to which eyeliner has already been applied (See Cat Eye tutorial below). 3, 4. Apply the medium shade from the inner 2/3 of the eye. 5,6. Apply the lightest shade below the arch of your brows to highlight the eye. 7,8. Take a metallic or shimmery shade and apply it on the lid in the center of the eye to accentuate eye. 9. The finished smokey eye. 1,2. Apply a thick gold line with a pencil along the upper lash line. We like ElDorado by Urban Decay. 3. 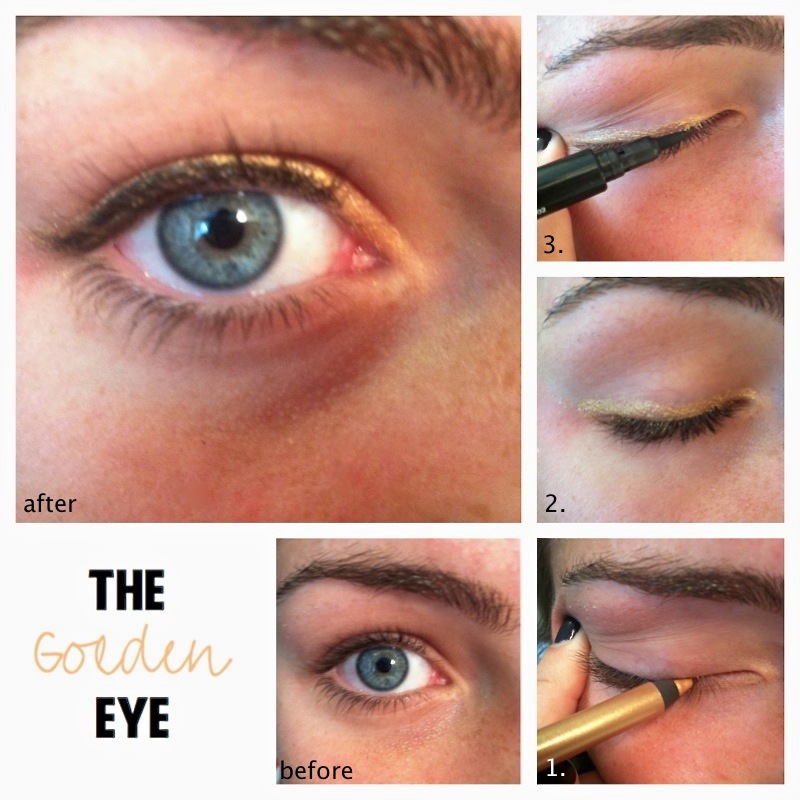 Apply a thinner line of liquid black eyeliner closest to the upper lash line directly on top of the gold pencil. The pointy tip will give you a thin, precise line and the gold will show up above the the black, giving a golden glow. 1. Close your eye and pull it taught. 2. Trace your eyeliner along the the top lashline towards the outer corner. The key is using a tapered brush for a clean line. We used Cailyn Gel eyeliner with a built in brush.